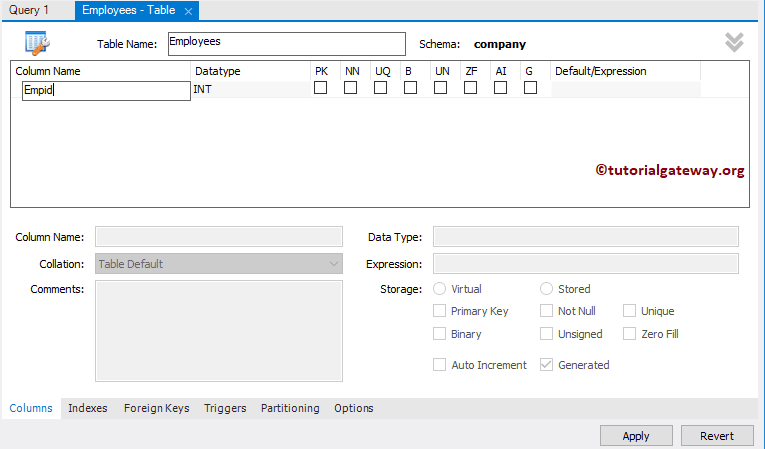 MySQL use Tables to store, and Manage Data. 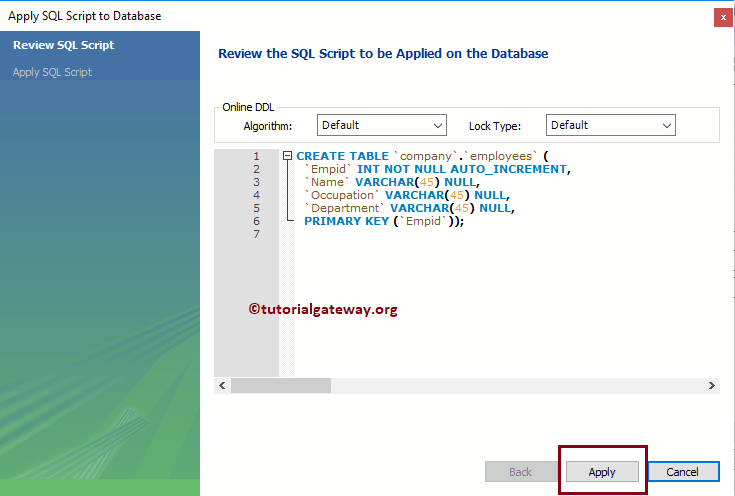 MySQL Table is a combination of Rows and Columns. 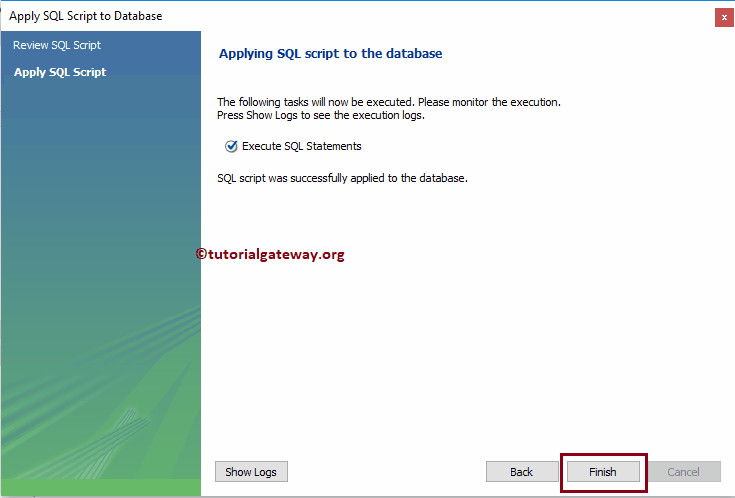 We have to use Create Table Statement to create table in MySQL. Table Name: Please provide Unique table name. It will throw an error, if you use the already existing table name. 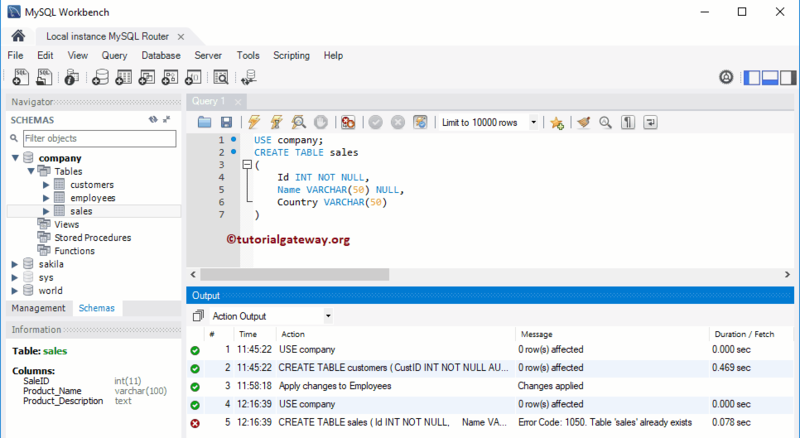 Below screenshot will show you the available Tables in MySQL database. As you can see, company database had no existing tables. 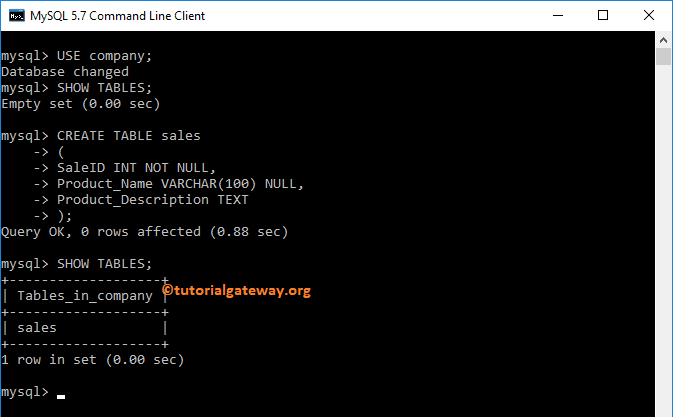 For the demonstration purpose, we are going to create new table called sales using MySQL create table statement. From the below screenshot you can observe that, MySQL create table Command is executed successfully. 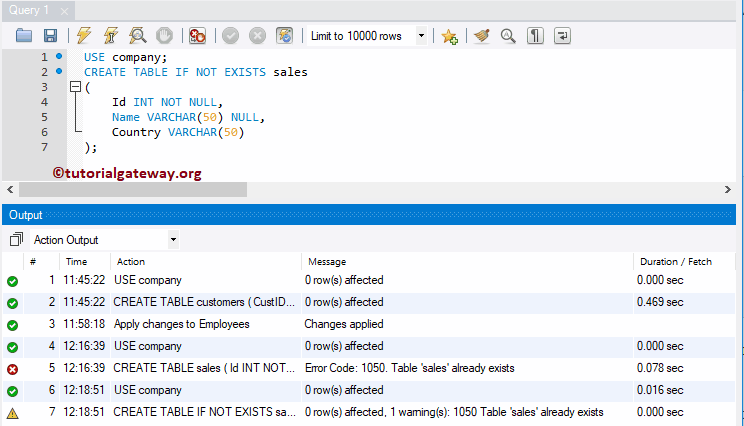 NOTE: Before you start creating a TABLE in MySQL, It is always advisable to check if a Table exists or not. 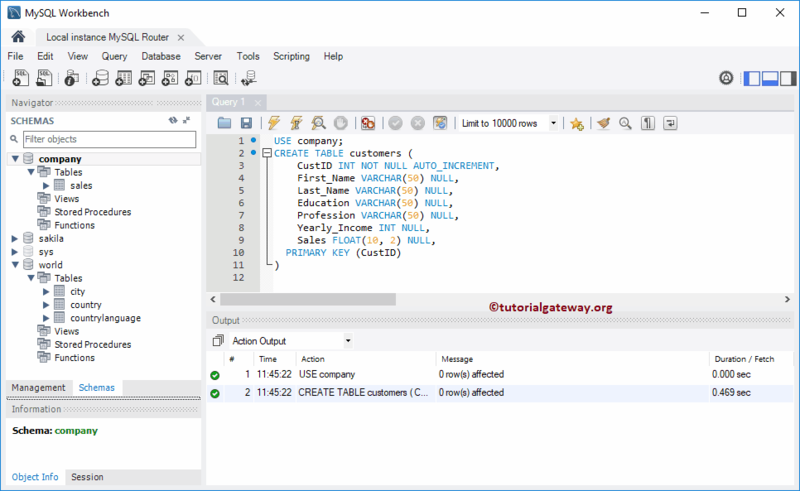 Sixth column is Yearly Income of INT data type, and it will allow NULL values. 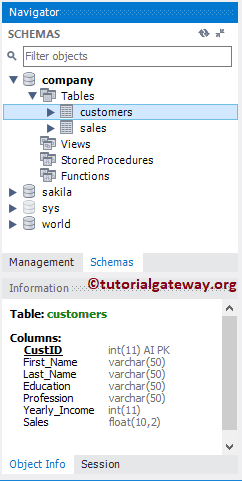 Sales columns belongs to float data type, and it will allow NULL values. From the below screenshot you can observe that, Command is executed successfully. Now, you can see the Newly created table under the Tables folder. 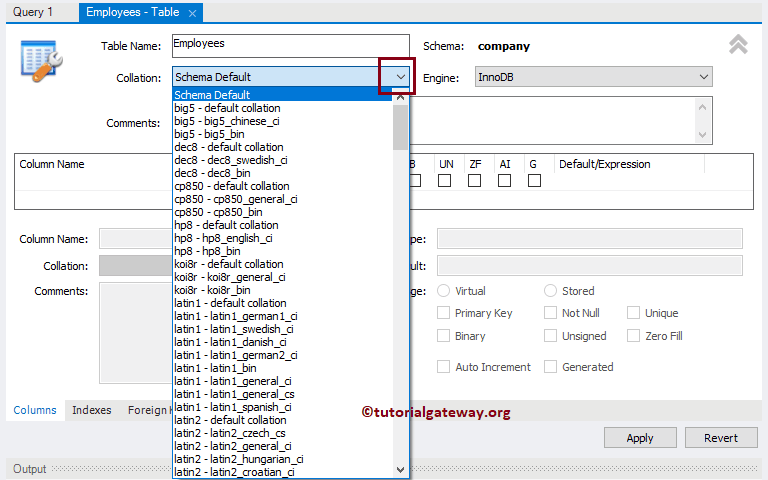 If you want to find the existing MySQL table definition then, right-click on the table name and select the Table Inspector option from the context menu. 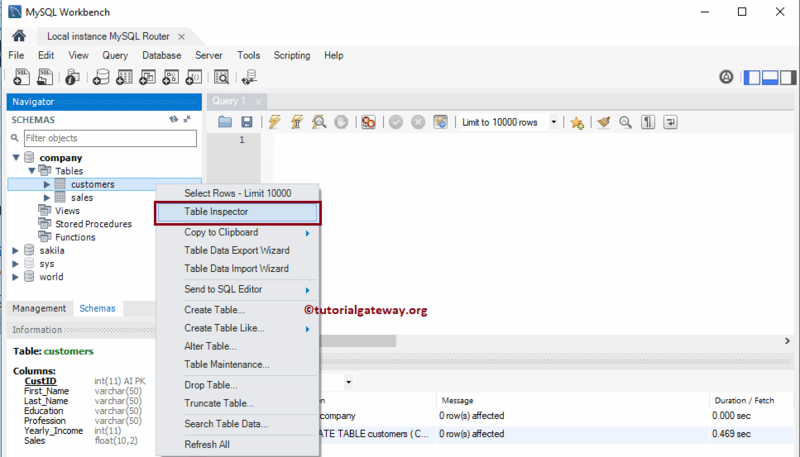 Once you select the Table Inspector option, a new tab will opened with table Information. Please go to the DDL tab to see the table definition. 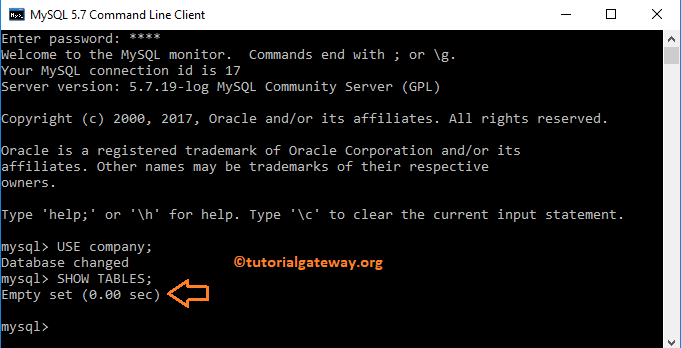 Check whether MySQL Table name exists or not? 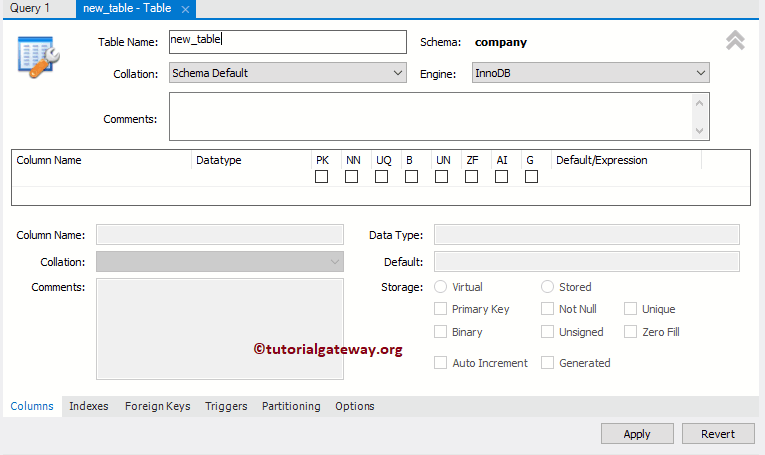 Let us see what will happen, if we create a new table in MySQL with existing name. From the below screenshot you can observe that, it is throwing error saying: Table Sales already exists. 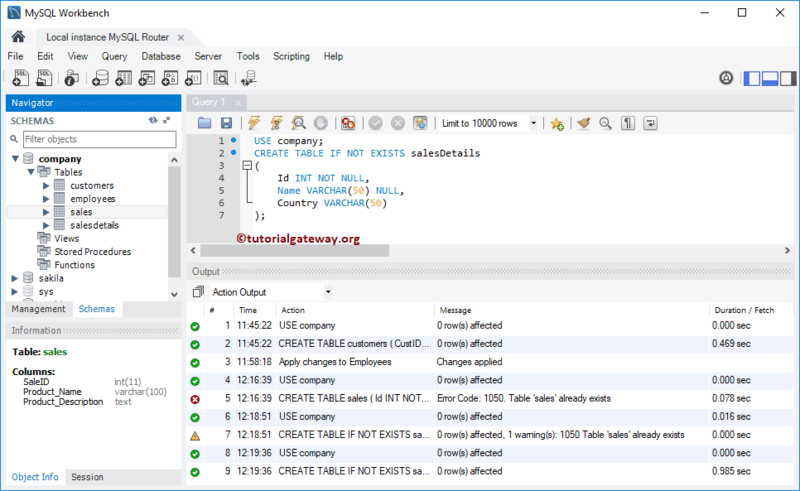 If you have the privilege to see the list of tables available in a databases then you can use the SHOW TABLES command. If it is not the case then use below option. You can use the Collation drop down box to change the Schema Default collation. For now, we are leaving all the default configurations. Next, click on the arrow to get more space for designing the table. From the below screenshot you can see, there are four column. 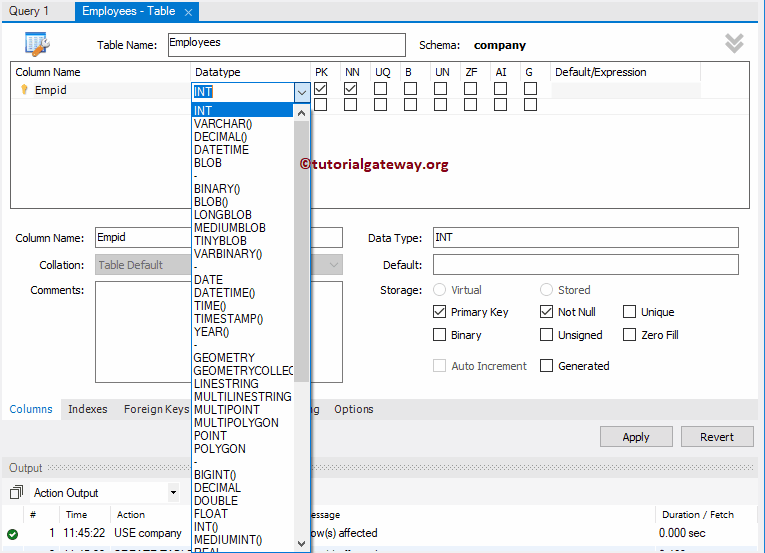 Click the apply button to create new table employees. 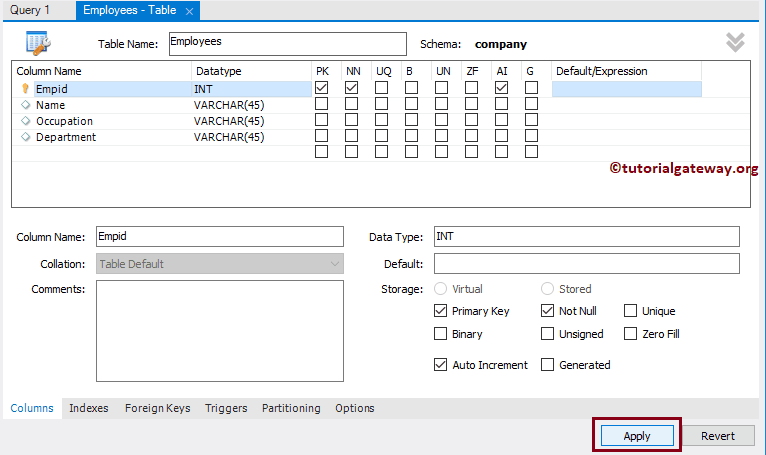 TIP : Please use the check boxes beside the Column Names, or under Storage section to make the column as: Primary, Unique, Not Null, Binary, Unsigned, Auto Incremental, Zero Fill, and Generated.